THE LAST DAY OF RECORDING ALBUM #3!!!! Today was kind of a bonus day. Sean’s STOKED that we’ve done 12 songs in 10 days, a record for his producing experience. I didn’t believe it was possible. We made such good time, that today was a bonus day, where we could experiment with some sounds, add some bits and pieces, check through if anything needs fixing. We ended up adding a whole lot of tasty smarties to the cake. I kicked off with some piano in Winter Sun. Nasty key to play piano in. My goodness. F#. I had last night to get something happening on the piano. Thankfully it’s just “glue” as Sean likes to call it, so simplicity is VITAL. The piano is used to bridge the gap between the extra low bass (which gets down to a floppy C in this song) and the sparkling guitar parts. Sean likes to say “It makes the track sound more expensive”. Hehhe. The real piano certainly hits a sweet spot in my soul, and a darling to play. I did some backing vocals, then some tele on a couple of tracks just to add some texture and weight to the song. Most of the time you can’t hear it in the mix, its job is just to be there, shadowing the main acoustic guitar tracks, beefing it up a bit. I got out the mando today. It was lucky enough to feature on Freezing Time on my first album 3 years ago, and I haven’t pulled the thing out since…. Oops. I dunno how the mando players do it. It’s remarkably small, yet it requires so much pressure on the strings to get a clear note. Ow! My hands!! But its sweet little chink-a-link melodies were calling me on a song called Hero in Me. And I had to obey. My little fingers, hands and arms had enough of the mando after one song. Little Piccolo, the Mando, will probably stay in the case till album #4. Sean whipped out the electric guitars today. He’s so diverse in his guitar playing. From slide, to simple beautiful befitting chords, to ebow, coldplay solos, to rock solos. It’s nice to see where someone else can take my songs. Ideas I’ve just never thought of. He played a little bit of tele, some eery Ebow on The Finish Line, some simple acoustic (I retired) and electric on Running out of Lies, and an agro solo on Sweet Tooth which playfully argues with my guitar riff. My new li’l love song Running out of Lies was epic in my head when I wrote it, but I could never pull it off with just guitar and voice. So it’s amazing how beautifully layered the song has turned out. It’s nuts! Coldplay/U2 styles… It uplifts my soul. Sean enriches my songs, adds a counter melody, just takes ‘em too that next level. Somehow he seems to tell his part of the story through his fingers…. On songs he’s never known before. Sean sent me home with a rough first mix of my new album. I whacked it in the car and tears came to my eyes. It’s amazing to bring my greatest creation to the world, with the huge help of Sean Carey, some amazing musicians, and the support of many friends and fans. So many people have been backing this album, watching it grow, being part of it, funding the project, and I’ve just been able to get in the studio and watch it unfold into something more beautiful than I could have ever imagined. I am ITCHING to share it with the world. But I won’t let it leak out just yet. There’s still final mixing to go, mastering, and more of the journey from there. Deciding on a title for the album. I’m thinking “Hero In Me” as I’m set on this being the opening track. From there, perhaps I’ll get onto the graphics. Somehow I need to decide on an order of songs – before taking it to mastering. There’s a lot to it than one would initially think. I’ve got such variety on the album, and don’t want the listening experience to be harshly jiggered for that audience. I’m gonna sit on it for a few days. Thanks for keeping up with the journey. I can’t WAIT to share the new sounds with you. This album is a very guitar oriented album. I scrapped the only piano song I was going to do for a newer tune. I haven’t written a piano song in years. I guess I go through phases of loving the piano then loving the guitar. All my new songs are guitar-based. The album needed some piano to fill the gaps on some songs. Somehow the piano is beautiful in bridging the gap between low bass lines and high strumming guitar parts. It just joins the whole thing together. On other tracks, though, electric guitar and banjo have done the job of adding texture. So today we brought in a young talented chap called Beau Golden to play some piano, wurly, and organ on a few tracks. I felt reluctant hiring a session player to do piano parts, when I can play the piano. But Beau took it to another level. From funky rock organ, to sombre sounds on the wurly (Wurlitzer – some old school piano contraption thing……. VINTAGE baby!) then Coldplay love songs on the upright… it all just FIT so well. He certainly did the songs more justice than I ever could. Sometimes it pays off to leave your song in the hands of someone else’s talents. I’ve played stacks on the album already, and I was stressing myself out thinking I need to do everything; “Oh, I need to do banjo on that track, and mando on that, and need to come up with a harmonica part for that song….” Piano was just another thing to overload my plate. Especially transposing a tune into G#. That = not fun. It woulda taken me weeks to come up with the beauty Beau came up with in 20 minutes. He showed the key of G# who’s boss. Shhh…. Don’t tell anyone, but the key of G# and me… we don’t know each other well enough to be friends. I was planning on cheating by pressing the “transpose” button on my keyboard… only to find out that producer, Sean Carey, wanted to use a REAL piano to record the “air flow” that no keyboard will ever produce, no matter how awesome the sample sound. Right he was. His piano sounds amazing mic-ed up. Great to meet such talented and humbling musicians. It’s amazing how Beau just came in, had never heard the song, and after playing once through, he was onto it. He left space for my solos, space for my voice, space for guitar bits, and played appropriately. And when I vague out in the studio and start to fall asleep I know he’s onto a good thing. 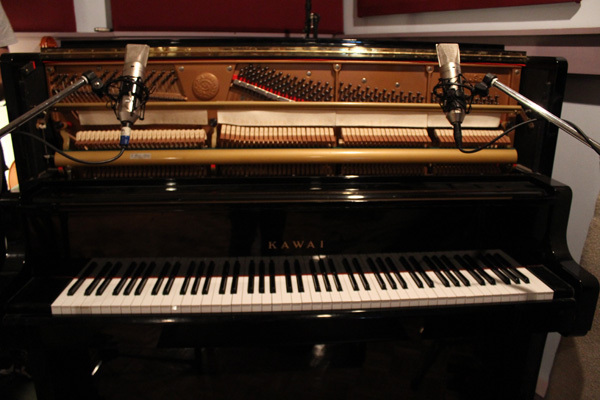 I got to have a tinker on the gorgeous piano for a song called Hide. Gosh the piano is beautiful, and the airflow, yes the airflow. As Sean says “You can’t buy that [email protected]%#”. I think the song Hide will be the last track of the album. It’s got this beautiful vibe that just sweeps you away into sleepy land. I’ve been aching to get some pedal steel on some tracks. I reckoned it would suit so well. Sean brought in a chap called Jason Walker (Not related to Van Walker, despite the hat ‘n’ beard). As soon as he plucked a note, I wasn’t surprised to hear he’s played with Kasey & Bill Chambers. My golly. Beautiful. Another one of those sleepy land moments. He played on a track called Across the Nullarbor. It’s the most appropriate, most perfect instrument for this song. It just WORKS. It’s like this haunting figure in the background, telling the story. It’s sombre. And kinda lost. At the end of the track, we’ve played on the last chord, extending it out for bars and bars, and the pedal steel was able to just wander off into the desert… just as the story sings about. Jason has an interesting way of approaching a recording session. He comes in and doesn’t care at all to see chord charts or know what key we’re in. He just plays from the beginning, all the way through. And sometimes you think “Wow, that’s amazing”. Sean and I were pulling faces of amazement, eyes as wide open as our mouths… speechless. Other times there were feelings of “Oh…. I think we need to pull the pedal steel out here, it doesn’t quite need it.” Beau on the piano, was more cautious about leaving gaps for the guitar, and not playing all over the voice. And although Jason never seemed to hit a wrong note and played with the most passionate of feeling and sensitivity, he didn’t leave as much space for the voice or other instruments as he perhaps should have. But that’s how he works. I suppose it’s better to lay down more than we need, than not enough. We did three takes of each song. And now it’s Sean’s job to pick the best parts from each take, fade bits in and out, and piece something magical together. I dunno how Sean does it really. Especially on a 7 minute long song. He manages to remember the best bits in each take, and cut them together almost instantaneously after the final take. It’s like he’s always on, noticing every moment. But I can’t wait to hear the finished product. Thanks Jason and Beau for your magical talents! Wow! I added some Bob the Banjo to The Finish Line today. Just to add that extra somethin’ something. Lucky there wasn’t too much playing. My hand cramped up. Gosh, that banjo pickin’! How do they do it! I love the texture it adds to The Finish Line! Very Mumford and Sons. Pulling off the guitar and banjo at a live gig might be somewhat challenging…. Tomorrow is our LAST day in the studio. I don’t believe it. It’s been an epic journey. Part of me doesn’t want it to end. I’ve just had so much fun. Sean is awesome. The musicians are enriching. The creations are inspiring and uplifting. Who’d have thought we’d whack down an album of 12 songs in 10 days? I certainly didn’t think it was possible. Not a full band sounding album. Sean says we’re a day ahead of schedule actually. And he says tomorrow is a bonus day. We can go over everything, add anything that needs adding. There are a couple of tracks that still need backing vocals, mandolin, and tonight’s homework task is to learn a song in the key of F# (AHH!!!! We’re not friends either) on the piano to record that tomorrow too. We might add some tambourines, shakers, go over everything and make sure it’s all sounding smashing. It will also allow us time to experiment with a few sounds here and there. I reckon I will be feeling a mix of emotions tomorrow evening. It will feel like the biggest success and achievement, one of the most amazing experiences of my life and my musical career. I am bursting with passion. I’ve had so many goosies (goosebumps) during the production. It will be incredibly exciting to get the songs finished. Yet I will be sad… because the journey of recording will be over. For now. I’ve loved working with Sean. I don’t just love his musical, professional self, I dig him as a person. He’s been so easy to bare my soulful songs to. At the same time, there will be many new adventures to embark on with this new album in my hands. And I look forward to that greatly. A few extra supporters helped me raise more money for this album on Pozible in the attempt to get my awkward childhood song “Kangaroo Poo” as a hidden track on the album. I’ve decided I SHOULD NOT (VERY MUCH SO) put Roo Poo on the album, as it will poo all over one of my greatest pieces of work, and anyone who doesn’t know the backstory of Roo Poo will go “WHAT THE HELL?!?! ?” when they get to the hidden track. I can’t bite my pride enough to put it on the album. So, in an effort to honour my commitments, I’ve decided to record it separate from the album, and upload it to the world wide web for whenever you need a good chuckle. I’ll let you know when this happens. I am also planning a video clip of a much more tasteful song “Hero in Me”. I hope this will be a far better consolation than poo on the end of my greatest album. Thank again for keeping up with my blogs! Today Bob the Banjo joined in on recording sessions. I’ve only been playin’ the thing since about June this year, but got some “boiling” parts (as Sean likes to call it) for a couple of tracks. I love mucking around with alternate tuning on the guitar, so it was fun pickin’ up the banjo with its whacky 5th string. 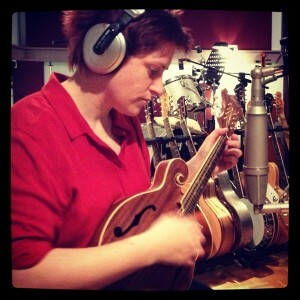 It’s amazing how GROUNDING a banjo can make a song. It just sounds so… I dunno what word to use… grounded. Its’ like… bringing it home, down to the roots, get on those country boots. The country vibe came out today! I got the rest of the main vocals down today. Every song is different in the singing approach. I appreciate every little piece of advice and guidance Sean gives me in the approach to singing the songs. In the times when I’ve disagreed with him (which are very rare), I’ve listened back to the mix and come to realise what might work in a live setting (like slowing down, over pronunciation, short and sharp notes) doesn’t always work in a recording. It can in fact be distracting from the vibe of the song. So I smoothened some accents out and eased off on my super diction. When I felt goosebumps as I sang Hero in Me, I knew I was delivering. It’s amazing to hear it back in the mix. I’ve never loved the sound of my voice, but the songs are sounding terrific! Sean got on the tele again today. Just to add some glassy colour to the mix. My goodness, he’s amazing on the guitar. It’s not about shredding. It could be as simple as playing an Am7 chord…. It’s about how and where he plays it that just brings the tune to a whole other level. While I may have been able to play the part, it’s so much more enriching to give your song over to someone else to see what creativity they can add to the mix. It paid off. I love the sound he brings. Only two days left in the studio. Tomorrow is keys, organs, pedal steel, and Friday is… the final day to add some keys, mando, bvs, and any other bits and bobs. Gee we were so much more PUMPED today than yesterday. I dunno what it was about yesterday. We got a lot done, but the vibe wasn’t as pumping as last week. Today we were back on track. We smashed it! Dirty Harmonica: I kicked off with some harmonica parts for two bluesy tracks. That got us into the vibe today. Gee, maybe we did too many slow songs yesterday? My goodness the bullet microphone adds some serious attitude to the harmonica. It surprised me. Hahhaha. What fun. Some of the best takes are when I’m just relaxed, jamming, and just goin’ for it. Love a bitta harmonica. It’s one of my most enjoyable musical moments, imaging I’m on stage, diggin’ into the harmonica while the blues band goes off! I love the sensitivity of the Neumann U87 mic. You can bring the voice right down to this intimate level. Some somehow less … is more. I sang the end of “Pockets” through the bullet mic to create some dirty sort of telephone voice. Very befitting for the song. I love how weird stuff just comes up in the studio. One minute we’re doing “Roger that” impersonations through the bullet mic, the next came the idea that I should not only do dirty harmonica through the mic… but… the voice too. It’ll break up the rest of the voice on the album 🙂 add a bit of variety. I did an acoustic version of this song on my Little Treasures album. But it never really came out the way I dreamed it in my head. Now, working in the studio with Sean, the track has come to life. I love Sean’s approach. On a previous album, I attempted one of my rocky songs, and it came out NOTHING like I envisaged. It came out rather clinical, perfect, and perhaps plastic. But Sean’s approach to Somebody to Love is incredibly befitting. He wants it to sound like the three-piece rock band, jamming, goin’ off at a party. He wants it to be loose. It doesn’t matter about playing notes perfectly, or singing like Mariah. I got on the tele to record this rockin’ 12 bar blues, with a bit of distortion for edge. And today I added dirty harmonica. We didn’t edit out accidental feedback from the harmonica microphone. Somehow it makes you ears prick up when you hear it… and it’s not necessarily a bad thing. I got into the vocals. Then there’s this thing called an “idiot take” (news to me) – a take where you just sing however/whatever, make noises, yell, laugh, let loose, be an idiot (hence the “idiot take”). At the end, we’d scrap anything we didn’t like. The weird thing was, Sean used the moments when I was “loosest”. He kept random bits of laughter, feedback, yelling, and my dramaticised approach to the last chorus. I love his approach. It’s created this rockin’ track that sounds like a band rockin’ out a party. All it’s missing is some “Huhhhh” noises from Barnsie. What fun. Tomorrow, a bunch of friends are comin’ in to sing “party” backing vocals. Loose and carefree. Let the fun begin! jen /wp-content/uploads/2017/08/jenny-biddle-logo-17.png jen2012-10-30 20:04:032012-11-06 10:30:31Recording Diary: Day 7 - "Idiot Take"
I found it really hard to get into the zone today. It was such a SMASHING week last week. I was so pumped up. Then had a terrific weekend off with loved ones. But today I struggled to get my momentum up again after taking a break. It feels strange, as a muso, to work 10-7pm Monday to Friday, and take weekends off. That’s never really been my lifestyle since gigs became my fulltime job. And Monday morning, BAM, you’ve just gotta somehow be in the zone, ready to get down to “business”. We had 3 more tunes to play guitar on. We took a very different approach today. Instead of playing the song all the way through, doing several takes and picking the best take. We just recorded section by section, getting each section right. We kicked off with Running out of Lies, a smooth U2/Coldplay style love song, that was warming on my soul for a Monday morning. It’s a new composition of mine, so out of all my songs, I was less familiar with the guitar part when recording. So we just laid down section by section. Then came Sweet Tooth, an electric guitar rockin’ track played on a Gretsch that needs a lot of attitude. It’s hard to manufacture “attitude”….especially Monday morning. I wasn’t feeling ON. But ya kinda have to get into the zone. Somehow. Put yourself back to when you wrote song. That song was restructured by Sean to make it more impacting (I admit it was far too long), so somehow, I had to turn off auto-pilot. Sean’s really switched on. He’ll tell you if a song needs more attitude. Or less. He’ll tell you if something isn’t right. And every now and then, guitar parts needed changing to fit with the drum parts… as opposed to the solo way I’ve always played it. Sean whacked down some happening bass parts. He ain’t bad on the bass indeed. And that’s it. All 12 tracks now have guitars, bass, and drums! Next, VOCALS!!!! Ahh…. Vocals. I was nervous for vocals. I’m not a “vocalist” as such. I’m a singer-songwriter. And the tunes I compose aim to join all components together – the voice and guitar tell a story. They need to be on the same page, expressing the same feeling, telling the same story. I’ve never really seen myself as a vocalist. I’m no Katie Noonan or Delta Goodrem. I don’t get in there and do warm up exercises, like I probably should. And I drink tea, and eat dairy, like I probably shouldn’t. We’ve decided my voice is best in the afternoons. So this arvo, after a li’l attempt at warm up excecises, I got into it. We only did three takes of the songs, picked the strongest take, and made edits wherever needed. I’ve always found it hideous to listen to my voice. But ya kinda gotta block that out and think objectively. If I sat there and picked the recordings to pieces, we’d never finish the project. I took Sean’s instructions on ANY and EVERY change or approach he suggested, as I trust him to think objectively, more than I trust myself. At the same time, I know my limitations, I know when I can do better, and I know when I’ve done my best. And even when I feel my best is far from good enough, I can settle “what is” and not spend too much time criticising every little flaw in my voice. Sometimes though, if your insecurities get the better of you, the whole recording session can fall apart… I tried not to beat myself up when I wasn’t happy with the vocal take. Sean’s pretty easy to work with. For the tech nuts out there, I used a Neumann U87 mic on the voice, with a Neve 1073 Preamp. This mic was also used when recording the acoustic/resonator guitar, along with Russian Octave pen mic. We had much around with preamps to find the best sound, and there are big differences, as there are with mics. I remember recording my Chest of Drawers album vocals. I think it was a Nuemann M149 that I sang into for the song Adelaide. And the mic picked up WAY TOO MUCH details. You could hear noises in the back of the throat. It’s TOO sensitive. The U87 was terrific today. Smooth, yet clear. Quality. Yet not hypersensitive. I’m confused by the different ways of recording backing vocals. I’m singing my own backing vocals, cos I suppose the theory is that the voice that blends best with your voice… is your own voice (yes, watch out, there will be multiple Jennys singing to you on the album). When I did some backing vocals for Coen Dixon, Shane O’Mara corrected my approach, saying I should NOT sing at the same intensity of Coen, that it makes it sound like a duet. Yet today, Sean was telling me I need to match the intensity of my lead vocals, otherwise it will sound too woosy. I suppose there are different approaches for different songs. Once he blended the vocals into the mix, it sounded amazing. No auto-tune baby! No way! 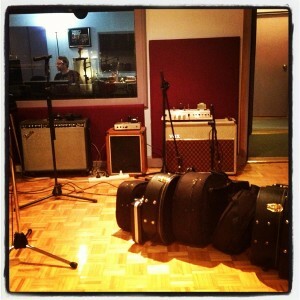 All in all, we smashed out three guitar tracks, three bass tracks, three vocals tracks, and two backing vocals tracks. And it’s sounding amazing as Sean mixes as he goes along. The blending is incredible. Gee he is quick on Protools. Got a lot more work to do. Hopefully I get into the zone a little more tomorrow. Recording Diary: Day 5 – Too much fun….? Too much diversity….? Day 5, another wicked day in the studio. Producer extraordinaire, Sean Carey and I started with a 10 minute long warm and fuzzy. I sat in the recording booth tuning my geetar, he sat in the cockpit, and through the headphone/mic we transferred our warm and fuzzy feelings to kick us off for the day. I feel like I’ve known the guy for 10 years. He gets me, he gets my music, he gets where I wanna go with it, he gets the journey I wanna take the audience on, and he takes the song there…. Today we worked on three incredibly different tracks – a soothing acoustic number (Winter Sun), an intense fast paced resonator tune (The Finish Line), and a smokin’ hot dirty electric guitar riff (Pockets). I’m startin’ to sound like Cold Chisel. Far out. Sean has some seriously smokin’ amps that make my guitar playing so filled with attitude. Hahah. It’s all about finding the right SOUND of guitar. The guitars that require sweetness, I use my Maton. But for the guitar with attitude… we’re mixing up a bit. I wanted to use my brass resonator in The Finish Line… but after trying it out with the drums behind it, it just doesn’t work. The distinct sound of the brass resonator was to… tinny or trebly or something… and it clashed with the bright rockin’ drum sound. So I used the wooden resonator. Hit the nail on the head. For Pockets I used a rockin’ amp and a 40 year old tele. Mmmmm mmm! We found the sound for that one. Sean came up with some WICKED bass licks to go with the riff. He’s on fire. Think we had a bit too much fun in the studio. Photographer Kat Hawke, and my singer-songwriter friend Travis came to “hang out” in the studio. And the 4 of us had a creative party. Gosh. It feels like such a privilege. I walked out of the studios to get a cuppa tea, bare foot and smiling, and I saw the office workers in the building, sitting at desks, talking on phones, looking bored and frustrated… and I just think it’s SUCH a privilege for me, us, to be in that studio, bringing these creative pieces to life. Life couldn’t get any better. This has been one of my favourite weeks of my life. Ever. It’s going to be a crazy diverse album. There are atmospheric mellow songs, dirty hard rockin’ blues, country, folk pop…. And everything in between. I love to keep diversity in an album. From a young age I learned that all your songs can’t sound the same. In my teen years, I was into pretty dark depressing and intense music, with a big influence by Silverchair. I was nagged to write “Happy songs”, then to write “Upbeat songs”. Certainly in my cover gigs, people want a great variety. All my life I’ve tried to take on board people’s criticisms, to learn and grow from them all. But the thing is, you can’t please everyone. While some people like rock and upbeat lively tunes, others get off on atmospheric sweet soulful music. Some love country, others can’t stand it. I believe in creating diversity; it mixes things up, keeps things interesting for me and the audience, it keeps me exploring and learning, and hopefully opens people’s minds to different types of music. But I wonder whether too much diversity can be a bad thing. Will it be a shock for some to hear electric guitar, when I’ve only played acoustic solo for years? Will it be a shock people to hear blues and country, when I was folk/pop? I think society/marketing/consumerism needs to label and pigeon hole musical genres in order to define and digest them. Kasey Chambers is country. But if ya listen to her albums, there’s also rock, blues, rockabilly, folk, pop, and more. Will my album be TOO diverse? I always ached to please everyone, to give them the upbeat happy songs they were looking for, to give them this cover, to give them that cover. But at the end of the day, that ache to please everyone else has just left me feeling lost and disheartened…. When I realised you can’t please everyone. I have had SUCH a ball through the experience of creating this album – we’re only half way. As I said before, I feel like it’s been the best week of my life. My heart and soul are on fire. My mind is racing with excitement and creativity. My song babies voices are growing bigger and brighter. I can wonder what will become of the final product. I have SO much faith in it. SO much. I’m just SO pumped. And then I have that niggling thought “What if my mother doesn’t like this song…. What if it’s too diverse…. What if it doesn’t blend together as an album because it’s so diverse?” And then I realised what I should have realised a long time ago. We will never please everyone. The only person that needs to be proud of this album is me… The only thing that matters is that I am true to me, that I put out an album that I am proud of, and that represents what I do. Already it’s exceeded everything I could have ever imagined. I’m so proud. And we’re half way. This project is becoming the most meaningful, successful moment in all of my music career. It’s not about playing to masses, being rich and famous, being in the charts, winning awards, or being recognised by record labels. To create an album that I am proud of, that represents the music within my soul, is all that I want. Right now my heart is on fire, and I am so pleased with this creation. I can’t wait to share it with you. One week to go. I’m amped.Hopefully grab some of Kat’s photos to show you soon. Can’t wait for the next sesh! jen /wp-content/uploads/2017/08/jenny-biddle-logo-17.png jen2012-10-26 23:47:022012-11-06 10:30:31Recording Diary: Day 5 - Too much fun....? Too much diversity....? Every day in the studio is huge. And every night I struggle to sleep with the excitement of what the next day may bring. Today it was just Sean and I in the studio. We took it in turns. I’d play a few guitar tracks for recording. Then I’d take a break and he’d lay a few bass guitar parts onto the tracks I just did. We got through 6 tracks today. Epic! Bass and guitar parts, doneskies! Shoes come off…. so I can stamp my feet without tapping…. Gaffa tape across the buttons on my shirt to stop them tapping against the guitar during recording (this was my genius idea, but the smarter option would be wearing a shirt without buttons to begin with). Sean set up 2 mics. I’ll have to ask him what they are for the tech nuts reading this. One pen mic, aimed at fret 15 of the guitar, and the other just above it. I sat about a foot away from the mics. Mic positioning is one of the most important things when capturing quality sound. I remember studying that stuff in uni, and it’s interesting experimenting with different positions. I wanted a warm, yet sparkly, well rounded sound, not too much BASS, not too much sound of the plectrum on the strings. I use really heavy plectrums, but for this recording, I had to get used to playing with a flimsier pick for a softer sounding strum. All these li’l things matter ‘ay. Sean has this really different way of recording the acoustic guitar part. In order to get a guitar track independent of the voice (so you can mix them separately), I’ve usually been instructed to sing in my head, or mime, as I play the guitar part. It feels soooo incredibly unnatural. Sean’s way is to record a guide track of you playing and singing at the same time – one mic on the voice, one on the guitar. Then record drums to that. Now in order for me to record the guitar part, he took out the guide guitar track, and left the vocals and drums in. So the vocals are there for me to follow. It’s quite a liberating way of playing actually. You don’t get lost, and ya don’t feel the need to mime and pull random faces in the studio to try and get into the vibe of where you are in the song. I just got into the guitar. It took a few takes, with a few drop ins to re-do some parts. The rule is that you probably shouldn’t try to do more than 3 or 4 takes of a song. I remember trying to record one song some years back and did 10 takes…. After the 3rd or 4th take…. You’re getting over it, and they all go downhill from there. You get frustrated and completely struggle to get into the zone of the song. I don’t think we did more than 3 or 4 takes. Sean likes to record two guitar tracks, played exactly the same, so he can pan one left and one right and make choruses a bit meatier later if needed. This = a struggle for me, as I like to play things differently every time, and can’t remember what I played last. But we got through. I’d be interested to see how it sounds later. I must admit, I was a little nervous this morning going in there knowing the tracks I was laying down were the real deal. No more guides. I had to be meticulous about tuning before we’d even started, then be conscious of timing, and yet still get feeling into the playing. In the exciting, built up part of the songs, I tend to wanna RUSH. So I’m just being aware of that as I play. The important thing is to just stay relaxed, try not to over think it. The more you over think…. Ahhh… it’s all downhill from there. I had a few moments of beating myself up. Sean’s pretty easy going. There’s no pressure. And to our surprise, we are a whole DAY ahead of schedule. So I’ve just gotta relax, and have faith that I can do it. Hearing Sean add bass guitar to my tracks was amazing. Most of these songs I’ve only ever dreamed of hearing complete. I had a band a few years back. But now I just play solo. And to have bass introduced to my tunes is just jaw-dropping. It feels like you have the fullest version of the songs yet – drums, bass, guitar, and a guide vocal. It’s just FAT. Deep! Ballsy! Low! Bass just adds so much foundation. It’s often over-looked in a band. But without it…. Yeah. Sean is a songwriter, a producer, and a guitarist. He doesn’t describe himself as a bass player. But boy did he come up with some great bass parts. I’ve met bassists who wanna play as many notes as often as they can, like more is better. But in many cases, and certainly against my busy guitar playing, less is actually more. Sean played so appropriately. I was surprised how well constructed his bass lines were. It’s a different way of thinking – writing a bass line. Sure, it’s the same bottom 4 strings as a guitar, but just because you play guitar doesn’t mean you can think like a bass player. I certainly can’t. But I LOVED the bass parts Sean came up with. Man!! Not just root note type playing. But so befitting. It’s far better than my little brain could imagine. I’m all for appropriate, tasteful playing. Simple = effective. Sean is the most inspiring producer I’ve worked with. He just GETS me, and GETS my music. We’re on the same wavelength. When I say “I feel like we need shaker here…. A wooden shaker.” He says “Yes! You’re all over it Biddle.” We haven’t had a disagreement. It’s like our ideas just feel their way through the song, along the same path. That’s the right producer – someone who gets you, who gets your target audience, who listens to not only the music but the lyrics, and builds a beautiful garden around your house. Tomorrow, same again. Gutiar parts and bass parts for the other 6. Tomorrow will be a lot heavier in terms of guitar choices. Tomorrow we bring out the resonators, the teles and the gravelly gretsch. Super pumped, and ready, despite being before midday, I laid down the vocal and guitar guide tracks for the last 2 of 12 tracks. I was hoping to play “The Finish Line” on my Gold Tone Resonator for its particular sound, but it hasn’t appeared to have survived the trip from Melbourne, and seems to have an overwhelming buzz in it. So I used my other SX resonator for the guide… which has a completely different sound. I’m hoping to get the Gold Tone repaired ready for laying down the real guitar part. What a bummer. But we’ll make do ‘ey. Letting Go: It’s every songwriter’s worst nightmare; when someone comes along and pulls your song to pieces. But I’ve gone into this album with a different attitude; giving over my songs to the master. I am somewhat familiar with Sean’s work and have the upmost respect for him. I trust him with my songs. And there comes a time when you just have to give the song over to another creative soul, and trust them with it, see where they take it (and also trust yourself to stand up when you know it’s not going in the right direction). I had a feeling both Sweet Tooth and The Finish Line were far too long, and I gave Sean permission to chop bits out. I had to let go of whole versus and choruses, guitar parts, and fills. We took a whole minute and a half off The Finish Line. There were parts in that song, where I just kept trying to take the listener into a different zone, a new journey, here, there, and everywhere, and ultimately it’s confusing for the. Sometimes times LESS is more. I already have songs on the album that just allow for time and space to take the listener away for a little while. But that’s not right for these two songs. Sometimes you’ve just gotta let go. When you do, it’s quite a good feeling. I’m stoked with the way the songs are heading. To Be or Not to Be: It’s interesting which guitar parts of mine Sean embraces and which others he wants to tone down. On the one hand we want to make sure this album represents ME and what I do, and on the other hand, we are trying to bring the songs to their entirety, with the tasty flavours of other instruments. In order to give a song more omf and groove, drums must be added. In order to give it more depth, bass must be added. In order to give it more melodic interest and texture, other instruments must be added. And… to add these things ultimately conflicts with my busy guitar foundations that have always aimed to do all those parts at once and stand on its own. For songs like Chasing Stars, I had to learn to play the guitar part completely different, so that it flows better and leaves room for the drums to provide the groove, and for other instruments to fill the spaces. But for Sweet Tooth and Pockets, Sean wants these guitar riffs to stand out. Drums: We got into the drums today, straight away, well ahead of schedule. The idea is that drums need to be laid down very early, as they are the real foundationds of any song. I will come back and play/sing to the drum tracks. The drums took at least 2 hours to set up – get in position, get mic-ed up, tuned up, tested with levels, altered, then tested again, and into it. Sean called in Michael Quigley, a brilliant session drummer, to drum on all 12 tracks. We got through 4 songs today. Tomorrow we will do the other 8. Sean and I sat in the studio watching Quigley through the glass, like we were observing a fascinating animal in a zoo, as it performed it’s most intriguing, yet most natural, of rituals. I didn’t hear Quigley miss a single beat. He’s like a machine. Yet he’s so sensitive. He could thrash out a mean grunge beat, or he could delicately dance around an atmospheric track. It’s one thing to be in time, but it’s another thing to play to the dynamics of a song, and it’s another thing again to play with soul…. I dunno how he does it. Quigs came in without hearing the songs, sat down for a listen or two, wrote some notes, then he just nailed it in the studio. He doesn’t miss a beat. He closes his eyes, and just gets in this zone. And Sean and I sit there watching in awe. How he remembered the half bars, and the fills, I don’t know… How he gets into the zone, every time…. I don’t know.